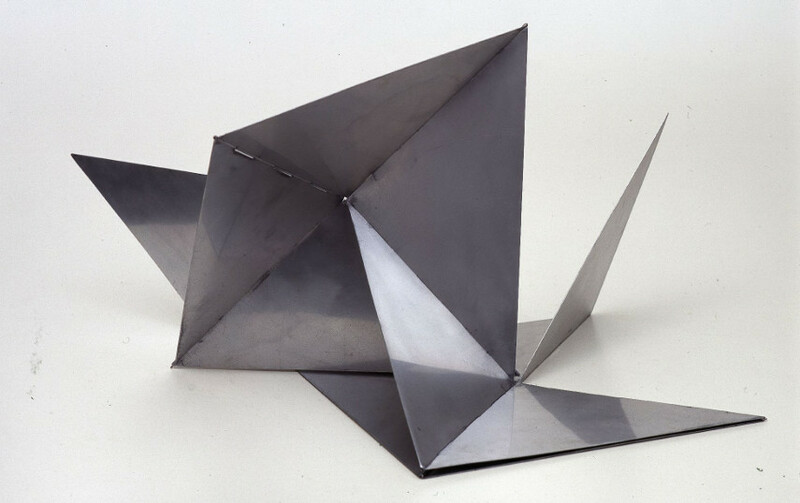 Heavily influenced by Constructivism and the Bauhaus school concepts, Lygia Clark was a Brazilian geometric abstraction painter and an installation artist. She is primarily remembered for her participation in the Brazilian Constructivist movement, her innovative approach to modular sculpture and the participatory art that made her a singularly pioneering force in the world of international art. 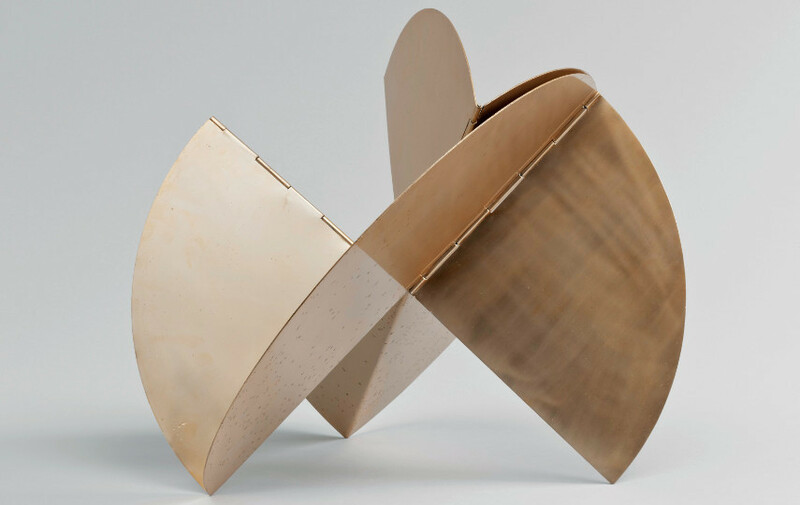 Although her creative expression varies quite a bit depending on which stage of her career you are examining, Clark was predominantly recognized for her system-based paintings and metal sculptures the viewers were invited to rearrange. 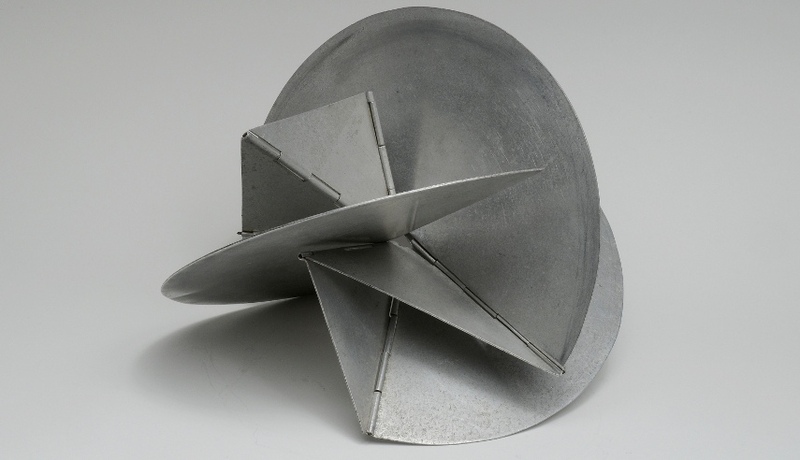 Lygia also experimented with ephemeral art, finding much success with this approach as well. 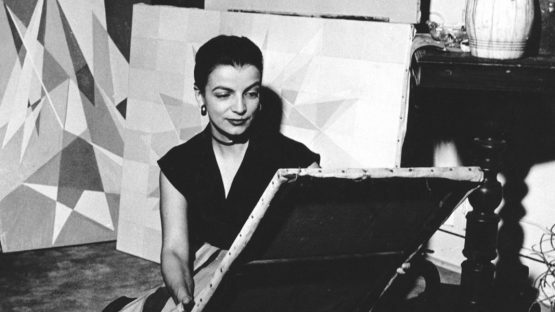 In 1920, Lygia was born in Belo Horizonte, Minas Gerais, Brazil. She decided to become a full-time artist in the year of 1947 – she moved to Rio de Janeiro in order to study alongside the Brazilian landscape architect Roberto Burle Marx. Between 1950 and 1952, she also studied with Isaac Dobrinsky, Fernand Léger and Arpad Szenes in Paris. In 1953, she became one of the founding members of Rio’s Frente group of artists. Clark also participated in Rio de Janeiro’s first National Concrete Art Exhibition, an event that will prove to be one of Clark’s frequent trips to Brazil. In the first decade of her career, Clark devoted her time to painting and sculpture, constantly experimenting and testing new techniques. However, after 1966, Clark started to claim that she has abandoned the processes of making art, instead focusing on educating others about it. 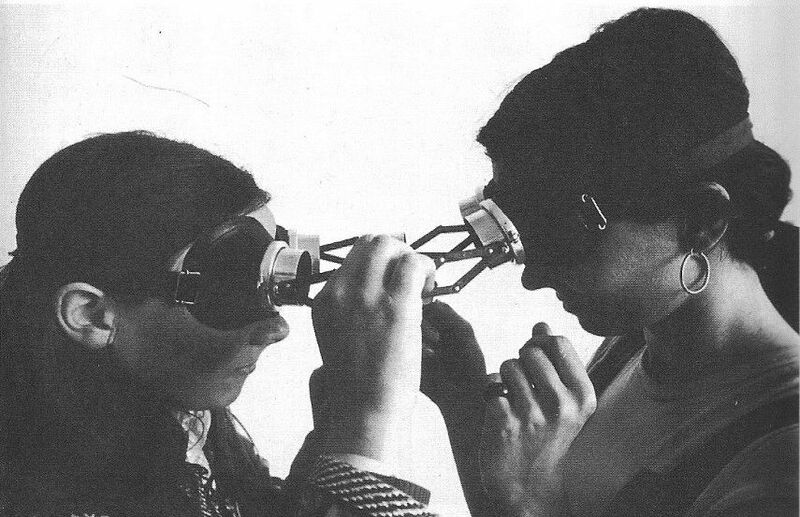 During the time she was a teacher, Clark explored the idea of sensory perception. Suddenly, she returned to creating art – beholding her work suddenly became a multisensory experience in which the spectator became an active participant. A good example of how she used to think at the time was her Nostalgia of the Body series. This project relied on participant’s individual experiences occurring directly in their bodies. These pieces addressed the simultaneous existence of opposites within the same space: internal and external, metaphorical and literal, male and female. Another example of Clark’s fascination with human interaction is her 1967 piece O eu e o tu (The I and the You). It consisted of two industrial rubber suits joined together by an umbilical-like cord. The participants wearing the suits would be joined together but unable to see one another, forming an almost psycho-sexual bond between them. During the early part of Clark’s career, she focused on creating small monochromatic paintings which were mostly done in black, gray and white. During the 1960s, her work became more conceptual and she used soft objects that could be manipulated by the art spectator. However, her greatest accomplishment was achieved when Clark co-founded the Neo-Concrete movement, which was joined by a fellow Brazilian Hélio Oiticica. The Neo-Concretists were interested in how an artwork could be manipulated by the spectator and how art could be used to express complex human realities – interests that naturally placed Clark in the midst of the movement’s conceptual core. Throughout her career, Clark’s work has involved an exploration of art’s effect on spectators. It should be noted that one of her primary goals was to appeal to the average, everyday person, not just to focus on the bourgeois crowd. Lygia garnered much attention and recognition from the art community due to her roles in effectuating contemporary avant-garde ideas. However, between 1979 and 1988, Clark moved more toward art therapy than actually creating new works. She began using her art to treat psychotic and mildly disturbed patients. Experimentations did not always result in the way Lygia expected them to, but the effects of this unorthodox method were often astonishing. Clark returned to Rio de Janeiro in 1977. Her later works were more abstract and holistic with a focus on psychotherapy and healing, obviously heavily influenced by the experiences she had with psychotic and neurotic patients. In 1988, she died of a heart attack in her home. We do everything so automatically that we have forgotten the poignancy of smell, of physical anguish, of tactile sensations of all kinds. This interesting statement made by Clark herself offers a perfect insight into how her creative mindset worked – Clark endeavored to involve the viewer in her works in an unprecedented psychological and physical way. And by doing so, she was creating multisensory experiences for her audience that are arguably still unrivaled by any similar creative body of works to this day. In return, Clark is now remembered as a true artistic innovator who had a strong impact on various historical movements and as someone who successfully sought to redefine the relationship between art and society. This artist is represented by Alison Jacques Gallery London.